Join the battle between magic and technology in an exciting online game Prime World. In a unique universe Prime World PvP battle you wait, the development of the castle and the characters. Join friends and lead the battle to win glory and extract precious prime! In the world, who would later be named Prime World had a global cataclysm that changed the climate, geography and the biosphere as a whole. In this space - once a thriving civilization - penetrated substance called prime. And when it turned out that the prime has mysterious properties, the liquid became the basis of the conflict game Prime World. The world split into two factions, different attitudes towards this mysterious liquid prime. If you already intrigued game Prime World, download and start playing, you can button below. The two fractions, leading a relentless struggle in the game Prime World - Doctor and Adorniytsy. Doctor - scientists who study the prime purely technical methods, and create on the basis of the substance of the new technologies and mechanisms. Adorniytsy - desperate small - began testing the properties of Prime's on themselves, with the result that became real magicians. But apart from the ideological and aesthetic differences, the characters of both factions are virtually identical. The only exceptions are a few characters, such as steam-Demonologist Doctrine and Brush-Engineer. Each party game Prime World - Lord, the owner of the castle, and, accordingly, the developer of the playing space. But to get hold of this goodness to excess and become bourgeois games Prime WORLD - no matter how hard you try - does not succeed, the creators of the game allowed the castle Limited. After farming in the game established, you can begin to fight. 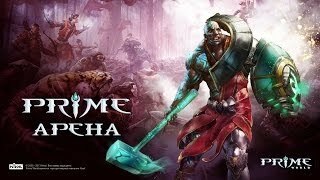 Want to start playing right now - it needs to download the game Prime World, by clicking on the button. All the battles in the world of Prime World occur in the so-called border land separating the Doctor and Adorniytsev. It is this area (called Praymzona) is rich in deposits of Prime. Map of the game world is quite simple. There are 2 database sources Prime (which still need to get), 3 trails with watchtowers. All the battles in the game Prime WORLD - team (5 people per team). The team's task - Collect points to grow leveled, but the main thing - to defend your base and destroy the enemy base. The average duration of the battle between the two teams - no more than 30 minutes, but the events in the battle unfold at lightning speed, so bored on the field field of play Prime World You just will not. And now to start playing Prime World, you can download the game by clicking on the button below. The level of each character in the game Prime World, of course, important, but still decides the battle is teamwork and mutual grade. To develop character, created a system of diverse talents and amendments thereto, such as network, glyphs, scrolls and potions. Processor: Intel Celeron processor with a clock frequency of 2 GHz or equivalent AMD. Video card: NVidia GeForce 6600 GT or Radeon X1300 with 128 MB of memory. OS: Windows XP Service Pack 2, Windows Vista Service Pack 1 or Windows 7. In addition to the game Prime World for the system requirements, you need the Internet. And for quality control in the game - the mouse and keyboard.